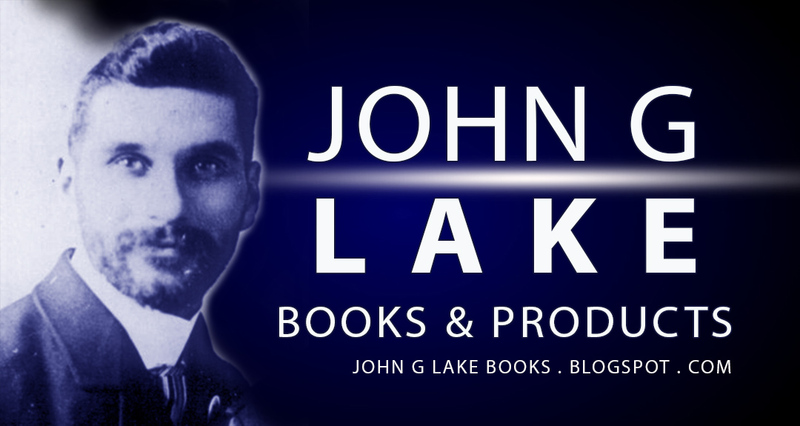 Dr. John G Lake was a pioneer in the Pentecostal and Divine Healing Movement. His ministry impacted an entire generation, and continues to influence Pentecostal and Charismatic Ministry today. His sermons and example of faith and devotion will inspire you to seek after more of God! John Graham Lake (March 18, 1870–September 16, 1935), usually known as John G. Lake, was a businessman who became known for his ministry as a missionary, faith healer, and founder of the Apostolic Faith Mission of South Africa. He was influenced by the healing ministry of John Alexander Dowie, and he received the baptism of the Holy Spirit in 1907 in the wake of the Azusa Street Revival. Early in his career, Lake's wife, whom he deeply loved, fell ill with a life threatening illness. Having a lifetime of suffering and bereavement behind him, he refused to accept this. He took the radical step of taking 'his brother who had been an invalid for 22 years to Chicago see John Alexander Dowie . In a matter of just moments after healing ministers laid their hands on him, he was healed -- he got up and walked out! Next, the Lakes took their 34-year-old sister who was dying from breast cancer. She had been operated on five times and had to be carried on a stretcher. She too was healed! Dowie and Lake then prayed for another sister who was bleeding to death, and she too lived! That left only Jennie. Yes, healing was coming, but this time, Lake decided it would be different. This time, he was setting the time for it. The time -- 9:30a.m., April 28, 1898. Dowie had a reputation as a famous healing evangelist/preacher; he was the founder of Zion, Illinois. These healings of the Lakes' drew other people to them requesting prayers for healing, which altered the direction of Lake’s life and ministry. Lake maintained relationships with many of the leading figures of his day including railroad tycoon James Jerome Hill, Cecil Rhodes, Mahatma Gandhi, Arthur Conan Doyle, and others. By the time he left for the mission field he walked away from a $50,000 year salary (around 1.25 million in 2007 dollars), as well as his seat on the Chicago Board of Trade. Later life and religious work with Thomas Hezmalhalch he founded the Apostolic Faith Mission of South Africa in 1908, which attracted many of the early Zionists led by Pieter L. le Roux of Wakkerstroom. Le Roux took over the leadership of the Apostolic Faith Mission when Lake returned to America, and Le Roux led it for 30 years.Just six months after Lake's arrival in South Africa, his first wife, Jennie, died on December 22, 1908. "Lake recorded that she died of a stroke." Lake returned to America on February 1, 1913, and married Florence Switzer on November 27, 1913. Lake's comment on this second marriage was, "Men in these days consider themselves to be happily married once. I have been especially blessed in that I have been happily married twice." From this marriage five children were born. Lake eventually became an elder in the church. It was here that he began to practice "divine healing". From 1915 to 1920, Lake ran "Healing Rooms," a healing center in Spokane, Washington. In 1920, he moved to Portland, Oregon, for a similar ministry that lasted for a few years. Is there historical evidence that Jesus existed? Joel's Book, "Son of God and Man - the Deity and Humanity of Jesus Christ"
Joel's book, Christ in You! Joel's book, "Miracles for the Multitudes"
Joel's book, "The Miracle Ministry, Signs and Wonders"
Joel's book, "Praying and Proclaiming God's Abundant Provision"
Joel's book on women's ministry, "Your Daughters Shall Prophesy"
Joel's booklet, "The Great King and the Little Ant"
Joel's booklet, "When Jesus moves into your house"
Joel's booklet, "One Almighty Mediator JESUS"
Did early critics of Christianity observe Christians worshiping Jesus as God? Did miracles cease after the Bible was canonized? Does the devil want me poor or rich? How does the Bible compare with other ancient sacred texts? Is there proof that Jesus existed?